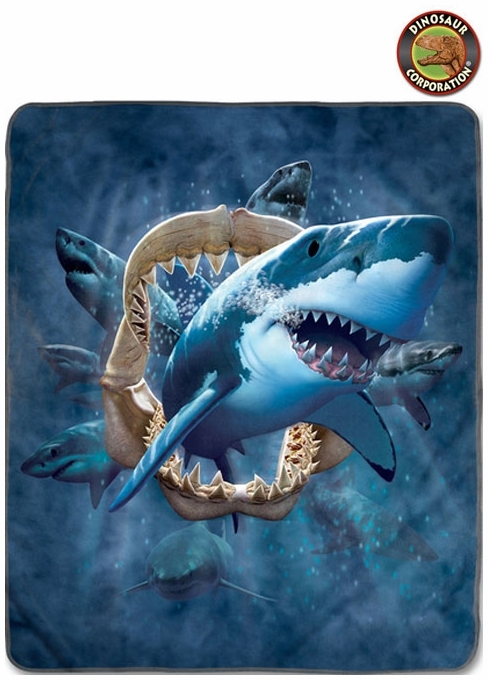 Shark Attack premium fleece blanket is made of a revolutionary material called pixel fleece. You will be amazed at the clarity and crispness of the image and the silky softness of the fabric. * Two fun sizes available: 50"x60" and 60"x80"